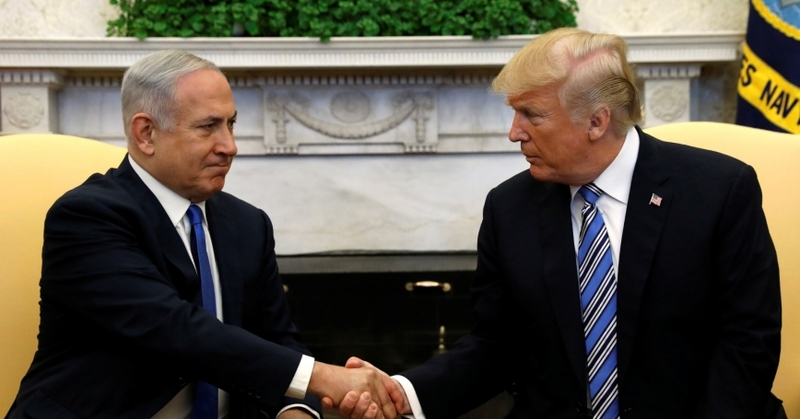 When President Donald Trump and Israeli Prime Minister Benjamin Netanyahu met March 5th, there was no shortage of crises and shared security concerns for them to discuss. The Gaza Strip, with its rapidly deteriorating water and health situation, was likely high on that agenda. 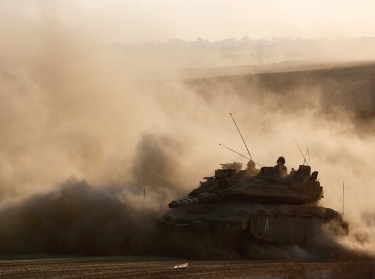 Israeli politicians and Israeli Defense Forces officials are dreading a looming catastrophe in Gaza for a reason. The dangerous combination of absence of political process, severe restrictions Israel and Egypt place on access and movement of people and goods in and out of Gaza, intra-Palestinian rivalry and deterioration in humanitarian conditions has previously led to three wars between Israel and Hamas. Today, the combined risk of violence and pandemic makes this small coastal enclave a ticking time bomb, and while neither Israel nor the U.S. has the solutions to all of Gaza's water and health woes, the Trump administration's decision to withhold funding to the United Nations Relief and Works Agency, or UNRWA, the UN fund that supports Palestinian refugees, could only worsen the situation. 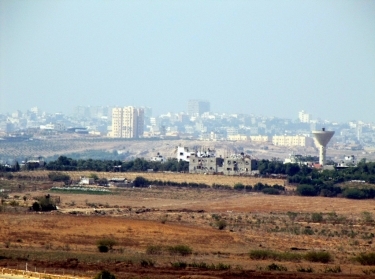 In addition to the risk of violence, Gaza has a two-fold water problem. First, there is a lack of safe water for drinking, bathing and cooking. Unsustainable depletion has made Gaza's only source of fresh water, the coastal aquifer, unsafe for human consumption due to infiltration of saltwater and sewage. 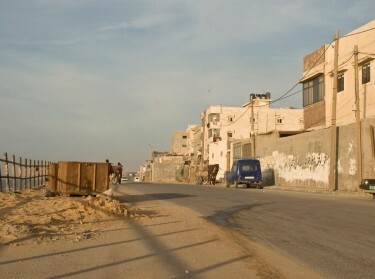 Most of Gaza's residents rely on water provided by unlicensed and unmonitored private vendors. Then there is Gaza's insufficient sewage treatment capacity due to delays in completion of treatment facilities, and the lack of a reliable energy supply to operate such plants. In the absence of solutions, over 108,000 cubic meters of untreated sewage flows daily (PDF) from Gaza into the Mediterranean Sea—a quantity equivalent to 43 Olympic-size swimming pools. This pollution was the reason for the tragic death of a five-year-old boy in Gaza in July 2017. This same pollution is also responsible for periodical shut downs of the Ashkelon desalination plant in southern Israel, which supplies some 20 percent of that country's water. In other words, poor water supply and quality, combined with absence of sewage treatment, don't only have dangerous implications for public health in Gaza, but also in neighboring communities in Egypt and Israel. In addition to dangerous chemical contamination (PDF), the risk of biological diseases, and specifically of a cholera outbreak, is real. Gaza has perfect storm conditions for this scenario—population density, mass gatherings, low access to safe water and poor sanitation. Addressing a cholera epidemic in real-time requires a rapid response and treatment plan, which includes rehydration, access to clean water, safe food and hygiene practices in homes, refugee camps and hospitals. Such options are currently not viable in Gaza. To cope with the current electricity and water crises hospitals have recently reduced cleaning and sterilizing of medical facilities. Having not been paid their salaries in months, the 835 cleaning workers at the Gaza Strip's hospitals are on strike, meaning that garbage is piling up and treatments are delayed. Gaza's hospitals run on generators vulnerable to a limited fuel supply and an estimated 36 percent of essential medicines and 32 percent of medical supplies are missing. In addition, the complex political situation and the lack of direct communication between all the parties involved could hinder any effective communication needed to deliver emergency aid, medicine and electricity. Israel has developed sophisticated technology to defend itself from rockets and tunnels, but it cannot block the spread of a disease into its territory. This is where UNRWA comes in. Having been active there for almost 70 years, the organization does not have a substitute in the Gaza Strip. In addition to education and employment, it provides critical services and assistance in the areas of food, water, sanitation, hygiene and health. It operates 22 primary health clinics, employs over 1,000 health staff and serves over four million annual patient visits. Given the heightened risk of epidemic and the dire status of Gaza's hospitals, maintaining UNRWA's public health services today is crucial. The organization is not without its problems. Some welcomed the U.S. decision to cut funding in the wake of Palestinian anger at Trump recognizing Jerusalem as Israel's capital, and their refusal to return to the negotiating table. These voices argue that instead of relieving the situation of Palestinian refugees, UNRWA has exacerbated it. They contend that it disincentivizes Palestinians to resettle and has been an active party to perpetuating the Israeli-Palestinian conflict. Instead of continuing to support UNRWA, these voices contend, the U.S. should call for folding its operations into the United Nations High Commissioner for Refugees, or UNHCR, which deals with refugees at large and not just Palestinian ones. The criticism is well-grounded. Given the plight of millions of other refugees in the Middle East since 2011, there is merit to questioning the justification of having an agency dedicated only to the Palestinians. Further, UNRWA is rightly accused of not being merely a neutral benevolent relief organization. It has a record of inaccurately reporting the numbers of registered Palestinian refugees, a history of hiring members of terror groups, and its facilities have in the past been used to store munitions to attack Israel. Still, defunding UNRWA today would be a dangerous mistake that could backfire and risk the lives of both Palestinians but also Israelis. First, transferring responsibility from UNRWA to UNHCR is not a feasible proposition, not in the short-run. The agencies work under distinct mandates, different operational and legal definitions, areas of operation, and operational realities, and any change in their definition would require long-term planning. While UNRWA could be reformed, a change in its mandate would require a decision by UN member states. Moreover, it is not clear at all that UNHCR would address the Palestinian refugee problem in a different way than UNRWA. In its handbooks UNHCR indicates (PDF) that it favors “enabling a refugee to exercise the right to return home in safety and with dignity,” and explains (PDF) that dependents of refugees are granted refugee status as well, making this is a hereditary issue just like UNRWA. More importantly, however, UNHCR does not operate in the Gaza Strip—part of the future Palestinian state if a two-state solution is ever to emerge. While theoretically, a comprehensive plan to integrate the two UN's refugee relief services could work in countries such as Lebanon and Jordan, where UNHCR is present and serves millions of refugees in parallel to UNRWA, this is not a viable present option in Gaza. In the Strip, UNRWA fulfills not only the role of UNHCR but also that other international organizations such as the World Health Organization and the World Food Programme fulfill in other contexts. They also do it for a fraction of the price. If UNHCR, WHO, WFP and others were to be tasked to fill the gap in UNRWA's absence, the bill would at least double. Although problematic, UNRWA's clinics and network are thus best equipped to deliver minimal services and lower the risk of disease outbreak there. Israel understands this predicament. And although Prime Minister Netanyahu has in the past been one of UNRWA's staunch public critics, he reportedly supports reexamining its status in a gradual manner. He and Israel's defense establishment know that cutting aid to Gaza today would expedite a humanitarian crisis and put not only Gaza in danger but also Israel. In their meeting March 5th, this was an important message for him to convey to President Trump. Shira Efron is an associate policy researcher at the nonprofit, nonpartisan RAND Corporation, a special advisor on Israel with RAND's Center for Middle East Public Policy and a professor at the Pardee RAND Graduate School. This commentary originally appeared on U.S. News & World Report on March 5, 2018. Commentary gives RAND researchers a platform to convey insights based on their professional expertise and often on their peer-reviewed research and analysis. Raphael S. Cohen, David E. Johnson @DaveJohnsonDC, et al. Shira Efron @ShiraEfron, Jordan R. Fischbach @fischinwater, et al.